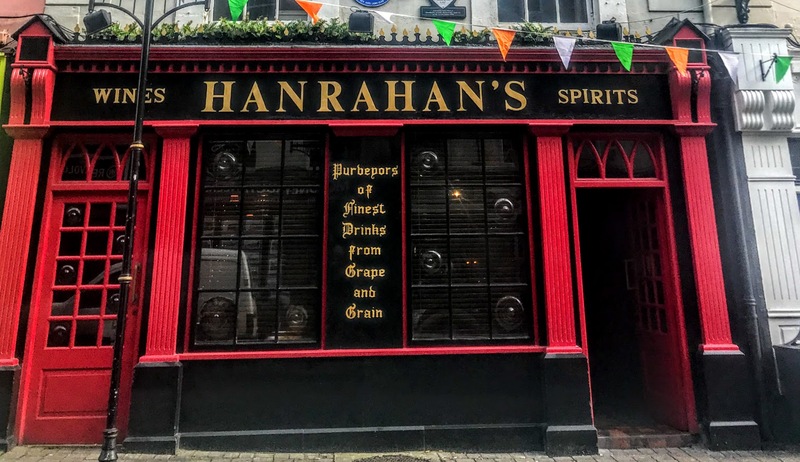 You may not have heard the story of the great Irish Temperance campaigner who was born in a public house in Co Wexford. 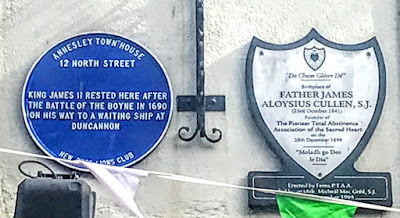 But a plaque above Hanrahan’s pub on 12 North Street, New Ross, recalls that this house was the birthplace of Father James Aloysius Cullen (1841-1921), the Jesuit priest who founded the Pioneer Total Abstinence Association in 1898. This plaque also recalls an interesting association of the Annesley family with New Ross. Arthur Annesley (1677-1737) had been MP for New Ross in Ireland and for Cambridge University in England at the same time, when he inherited the estates of his brother John Annesley (1676-1710), and became the 5th Earl of Anglesey in 1727. He later became Governor of Co Wexford (1727). In a complicated line of succession, his cousin, Arthur Annesley (1686-1727), inherited another set of Annesley family estates and titles as the 4th Lord Altham when he was only 15. By then he was already a rake and a gambler, by the age of 18 he was married and widowed, and in 1707 he married his second wife, Mary Sheffield, an illegitimate daughter of the Duke of Buckingham. Arthur lived a dissolute life and squandered his inheritance. He moved back to Ireland in 1710 because of the lower cost of living and rented Dunmain House, near Gusserane, south-east of New Ross, from Margaret Pigott Colclough. Arthur and Mary separated briefly, but they were reconciled in 1713, and on 15 April 1715 Mary gave birth in Dunmain House to a son and heir, James Annesley. When the child was baptised in the house, Mrs Colclough was one of his godparents. James Annesley became the famous missing and kidnapped heir, and was at the heart of a series of court cases that became society scandals in the mid-18th century. James died in England at the age of 44 in 1760 without ever enforcing the court rulings in his favour that would have allowed him to recover his titles and his estates in Co Wexford. His story is said to have inspired Robert Louis Stevenson’s Kidnapped. 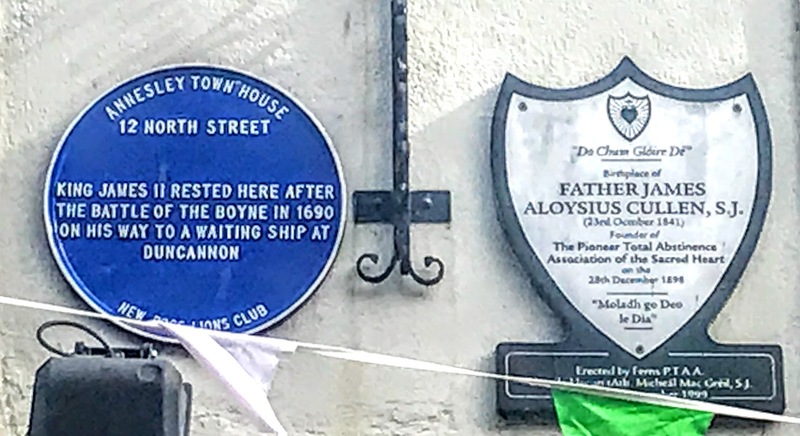 Father James Aloysius Cullen, who was born in the Annesley Town House in New Ross on 23 October 1841, was a man of a very different temperament to the key figures in the Annesley scandals, and he went on to become the founder of the Pioneer Total Abstinence Association (PTAA). Shortly after James Cullen was born, the Cullen family moved across the river to Bawnjames House, Co Kilkenny, near Rosbercon on the west bank of New Ross. James Cullen first went to school with the Christian Brothers in New Ross before going on to the Jesuit-run school at Clongowes Wood in Co Kildare in 1856. He studied for the priesthood in Carlow from 1861 and was ordained priest by Bishop James Walshe in Carlow Cathedral on 28 October 1864. James Cullen became a priest in the Diocese of Ferns, where his first appointment was as a curate in Wexford town, where he introduced the Christmas Crib. Two years later, he helped establish the Ferns House of Missions in Enniscorthy, and for 15 years he was the Superior of the House of Missions. He joined the Society of Jesus (Jesuits) in 1881, and after studies in Belgium, he returned to Dublin. A born organiser, he founded the Pioneers in 1898, edited the Sacred Heart Messenger, and built the Saint Francis Xavier Hall (SFX) in Gardiner Street. He died in Dublin on 6 December 1921, having heard the news of the signing of the Anglo-Irish Treaty. 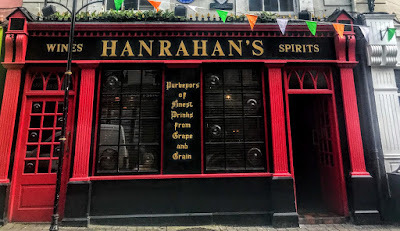 The house associated with the Cullen family is now Hanrahan’s public house. This is a terraced, two-bay four-storey house, was built or rebuilt ca 1825, and was renovated ca 1880, when the rendered façade enrichments were added and the symmetrical pub front was inserted on the ground floor. 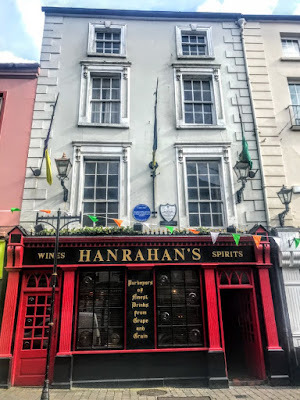 This pub front has fluted pilasters on polished granite plinths, fixed-pane windows, glazed timber panelled doors with overlights, a fascia with gabled paired fluted consoles, and dentilated moulded cornice with cresting. Most of the historic or original fabric, both outside and inside, have survived, keeping the character of this street in New Ross.